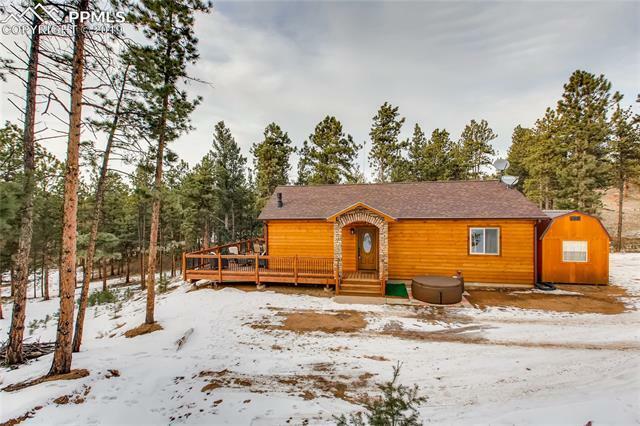 Beautiful log sided home situated on a private, wooded lot. You'll love the bright, open concept layout of the home that is perfect for entertaining guests and family. The large windows and sliding glass doors allow natural light to pour into the cozy living room. The wrap around deck out back is the place to enjoy the sunny Colorado summers. The cozy living room is were you can enjoy the cold winter nights with the stone faced gas fireplace and high vaulted ceilings.